Did you ever Google “pregnancy after 35” or “getting pregnant at 40” for helpful advice and inspiration on your way to motherhood? 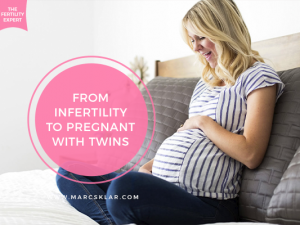 Did your excitement and hope turn into disbelief and shock when your search turned up millions of gut-wrenching stories on the risks and dangers of later pregnancies and the staggering rise of age-related infertility in women? This week’s Fertility TV, I sit down with journalist Bettina Gordon Wayne (you find her at www.BettinaGordon.com) and we talk about motherhood in your 40s and her book “The Joy of Later Motherhood”. The Joy of Later Motherhood is the much-needed antidote to all the negative hype surrounding motherhood at advanced maternal age (which is 35+). Written by seasoned journalist Bettina Gordon-Wayne, first-time mom at 44 and the third generation of women in her family who did not get the memo that conceiving a baby after 40 is dangerous. I have the joy of sitting down with Bettina to talk about misconceptions of pregnancy in your 40s. 1. Bettina wrote her book to have 40+ women look at fertility differently. Well into her 40s, Bettina got pregnant, easy! She never worried about her biological clock ticking, but after her first child she started researching and saw the alarming amount of women struggling to get pregnant in their 40s. Bettina was determined to write a book about pregnancy in your 40s and add successful late motherhood stories to the public. She saw the massive amount of information floating the internet about not being able to get pregnant in your 40s. As a journalist, she was determined to get to the bottom of this, and she quickly found a world full of women in their 40s who easily got pregnant. 2. When researching online you need to be mindful of what you believe. You need to be mindful of the statistics you hear about getting pregnant in your 40s. The risk isn’t much different from your 20s to early 40s pregnancies! A lot of the statistics out there are from a smaller pool of women who are already struggling to get pregnant. That pool of women could have has the same struggle to get pregnant in their 20s as they did in their 40s. I have my theory on why the message of infertility in 40s is strong online, because of the joy of Google! What gets lost in your google search is typically the women that had a positive pregnancy journey, she isn’t on google spreading the happy message. Women that have an easy, healthy pregnancy aren’t searching the web for answers or venting about their struggle. Those women aren’t sharing their stories; therefore there are so many more stories of infertility in their 40s vs. fertility. 3. Fear can be holding your back from getting pregnant. During the pregnancy process, we are often very focused on what is going on with our body. When there is a fertility struggle, the first question tends to be what is wrong with my body? Bettina brings up her belief that I agree with, that a big part of getting pregnant has to do with the mind, emotion, and has a spiritual component. Fear can creep in on us in many levels, some very subtle. 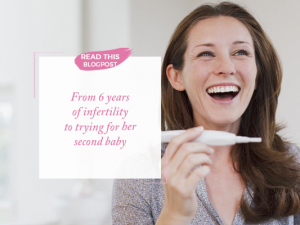 What mental, emotional or spiritual belief, might be holding you back from getting pregnant? 4. Its okay to choose pregnancy later in life! Bettina brought up a lot of great information in our chat. I do hope you watched the video to hear it all. Something else she touched on was her own experience of putting her career first in life before being ready for a child. I hear this one often, and If that is you, please don’t beat yourself up for choosing this pathway. You needed to do you first, and that led you to this place now of being ready for a child. You are always on your right path! My overall experience with fertility is that the Western model is looking for a problem whereas Eastern is trying to heal or prevent a problem. 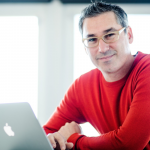 During my wife’s last pregnancy, we had more test done than seemed necessary and when I finally put it together, our doctors were making sure everything was okay with our child, by looking to see if anything is wrong. I am grateful for these doctors and our healthy son, but it pointed out a theory to be mindful of. Bettina has offered up a free download of her book just for you! Get your copy of The Joy of Later Motherhood today! I ready it and I hope you enjoy it as much as I did! Looking for more articles about fertility in your 40s? 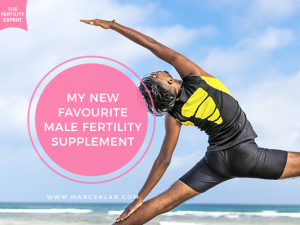 Three reasons why you are Super Fertile in your 40s – If you are in your 40’s or older and looking to get pregnant, I have Fertility info for you! I believe you are super fertile in your 40’s and I have three reasons why I believe that! How to improve your egg quality to get pregnant – Egg quality is a topic that comes up a lot and there are so many factors that influence the quality and viability. Because of this, I decided to put together a three-part educational series to give you as much information as possible to rejuvenate your eggs. How to rejuvenate your ovaries and eggs – Can ovaries regenerate and produce new eggs? Is it possible that as you age your egg count doesn’t go down? Read my theory about rejuvenating your ovaries and eggs!